Make a bright and bold impression this season with staple accessories like this structured and geometric necktie in sensational shades of purples and reds. The small scaled pattern and the monochromatic color palette create a standout menswear accessory that is desirable for all aesthetics and attires. 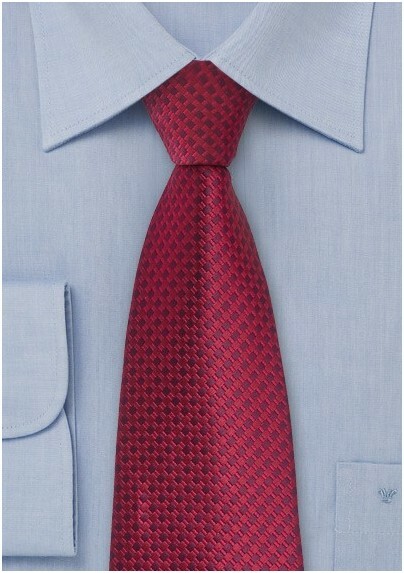 For a simple and stylish look, we recommend teaming this tie with a white poplin dress shirt and slim tailored medium gray suit. 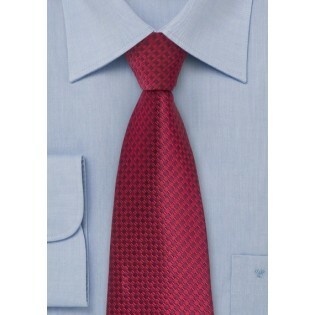 Designed by the Puccini Fashion Group and crafted from a high quality microfiber.